2012's Wreck-It Ralph was a love letter to video gaming, especially arcades, and played within that animated sandbox as it told a story of the titular video game bad guy (John C. Reilly) discovering a new perspective on life with the help of his new friend Vanellope von Schweetz (Sarah Silverman), a misfit looking for her place in the world. Its sequel, Ralph Breaks the Internet, finds itself in a much bigger playground as referenced by its title, one that also works as a plot hint and a nod to a running meme. The limitless potential of the Internet naturally allows for all sorts of gags — the trailers have hinted at a bunch of them, including the much talked-about one with all the Disney princesses — but it widens up the scope to such an extent that it's easy for filmmakers to get lost in it. Returning director Rich Moore, who co-directed Ralph Breaks the Internet with returning screenwriter Phil Johnston, and production designer Cory Loftis — all three previously worked together on 2016's Oscar-winning Zootopia, though some in different capacities — handle Ralph Breaks the Internet's world-building side of things astutely. Together, they have to create a new visual language in depicting the Internet as real, physical place that Ralph and Vanellope can visit, and one that turns its virtual humdrum functions into gorgeously-realised, appealing art for all ages. That's what gives rise to things such as tiny, flying vehicles in Ralph Breaks the Internet — they feel modelled on the Ethernet port — which manifest out of thin air after you click on a link and whisk you away to a different part of the Internet world. But figuring out a story, with elements of the Internet playing a significant and logically-believable part, is a different beast entirely. At its most basic level, Ralph Breaks the Internet is a tale of two best friends who slowly discover that their paths are starting to separate and must learn how to evolve with those changes. Johnston and co-screenwriter Pamela Robin (Moana) take the old “two friends go to the big city” narrative and view it through the lens of the Internet, which helps them sprinkle in new kinds of obstacles into their journeys while delivering a bit of commentary about online human behaviour. Mostly though, they use it to make jokes that require familiarity with (Disney) pop culture and the Internet, which extend right into the film's two meta post-credits scenes. Ralph Breaks the Internet begins six years after the 2012 original, with both Ralph and Vanellope living out their routines of going to work as video game characters and then frolicking about after the arcade closes for the day, usually finishing with a root beer at Tapper, the 1983 arcade game. While Ralph is pretty content with how things are — the only way things could be any better would be if he didn't have to work, he says — Vanellope has grown bored with her game, Sugar Rush. She knows all three tracks in and out and wants more spice and variety in her life. It's here that Ralph Breaks the Internet begins to sow the seeds of their differences. Ralph's well-meaning efforts to make Vanellope happy backfire, as the real-life arcade steering wheel breaks, and she is left “gameless”, homeless, and aimless. With the arcade owner Mr. Litwak (Ed O'Neill) choosing to sell Sugar Rush for parts as he is unwilling to spend $200 on a replacement steering wheel available on eBay, Ralph decides to take Vanellope to the Internet — the arcade has recently received a Wi-Fi upgrade — and get the part from eBay themselves in order to save her game. Ralph and Vanellope are completely blown away by what they are plunged into, and it's here that the film's new visual language first comes into play. Big tech companies such as Amazon, Google, and Snapchat are realised as giant skyscrapers, Twitter is a massive tree with blue birds that endlessly chirp, pop-up ads peddler such as J.P. Spamley (Bill Hader) burst out of thin air, and the search engine KnowsMore (Alan Tudyk) is a university robe-wearing fellow who isn't pleased that people don't use “please” and “thank you”. Some of these are merely namechecks in the film's attempt to establish the Internet as a real place, while others play a larger role in the narrative. 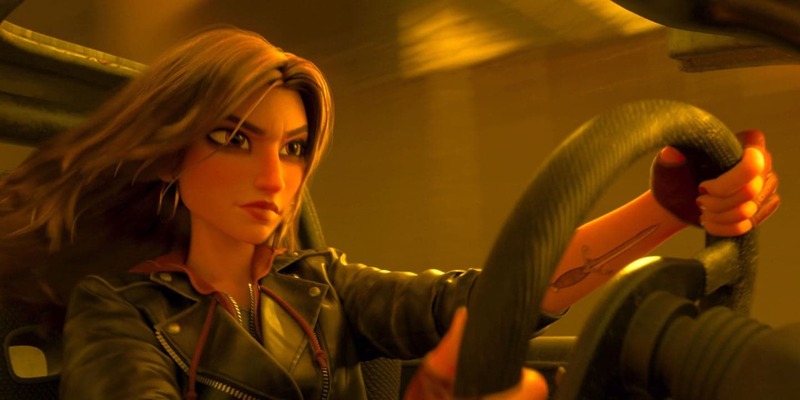 The most impactful of those is Shank (Gal Gadot), a tough-as-nail street racer part of an online open-world game called Slaughter Race that Ralph and Vanellope visit early into their Internet adventures. After witnessing Shank's driving skills, Vanellope is enamoured with her and she begins to realise that this might just be what she's looking for. That also gives Ralph Breaks the Internet the chance to construct its first big action sequence, which makes full use of the freewheeling physics of video games. Ralph immediately becomes defensive after he learns about Vanellope's fondness for Slaughter Race, knowing it could mean they won't be able to hang out any more, and does everything to pull her away from it. The film's exploration of Ralph's underlying issues varies between being direct and subtle, with the latter proving to be a more effective and easily digestible approach. Looking to raise the money needed for the steering wheel, the duo arrive at BuzzzTube, where Ralph willingly embarrasses himself over and over for the sake of creating video content that could go viral. On one level, it allows Ralph Breaks the Internet to riff on every viral real-world meme while also plumbing the depths of Ralph's insecurities, and exploring the negative side of the Internet. But the serious side is also where the film is at its weakest. Though the idea behind its big, final obstacle doubles down on its themes, the execution of it that uses another Internet tool leaves you wanting more. Ralph Breaks the Internet does a better job of handling the parts involving Vanellope, who has an equal if not bigger presence in the sequel than the title character this time around. 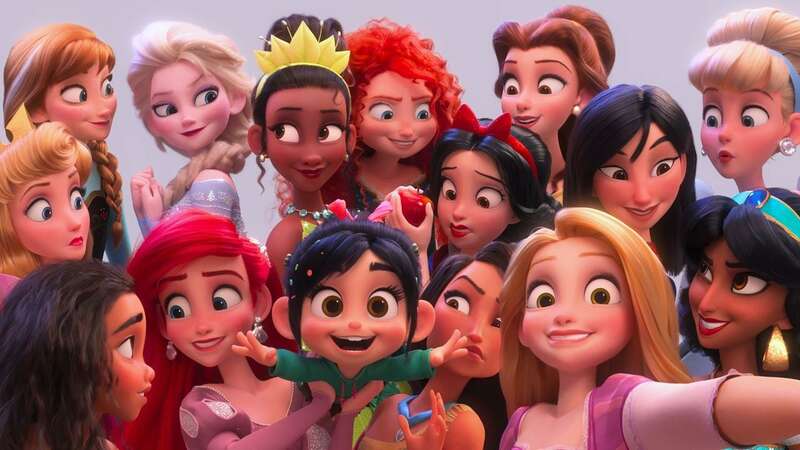 It benefits from having the film's most self-aggrandising yet funniest sequence, in which Vanellope meets the roster of Disney princesses, spanning Cinderella, Aurora, Belle, Elsa, Mulan, Pocahontas, and Rapunzel among others. What starts off as a laugh at their problematic tropes and stereotypes, which are of Disney's own making, turns into a retrofit redefinition of their lack of agency in their stories. It's great that Disney is willing to let writers poke fun at its own mistakes in the past, but its recent live-action fairy-tale remakes are simultaneous proof that it's only willing to go so far with these shifts. But the Wreck-It Ralph sequel is clever and self-aware enough to not just mine the decades of nostalgia for a dozen laughs — it even throws in the old animation whirl scene transition that denotes a small time-jump for the adults in the audience — but turn that shameless self-promotion of Disney's several intellectual properties into a storytelling tool that's an important step in Vanellope's journey. It's what allows for a have-your-cake-and-eat-it-too moment in the film's only ballad-like musical number, “A Place Called Slaughter Race”, with music composed by Disney veteran Alan Menken and written by Johnston and Tom MacDougall, that would otherwise stand out if there were no princesses in Ralph Breaks the Internet. The use of Disney's full back catalogue — in addition to bringing in Stormtroopers and C-3PO from Star Wars, and Baby Groot from Guardians of the Galaxy among others — could have easily felt cynical and left a bad taste in the mouth. But in being able to laugh at itself, albeit with restrictions — a “spoiled child” Kylo Ren joke was cut at the request of Lucasfilm — Ralph Breaks the Internet feels irreverent in the way the Lego movies have had their way with Warner Bros. properties. It marries that sensibility with messaging everyone can relate to, and it's not afraid to slightly venture into complex, darker ideas while being family-friendly for the most part. And above all, it's exuberant and thoroughly enjoyable. Ralph Breaks the Internet is now playing in cinemas worldwide. product Ralph (John C. Reilly) and Vanellope (Sarah Silverman) head to the Internet to find a replacement part for an arcade game. Ralph Breaks the Internet is released in India.